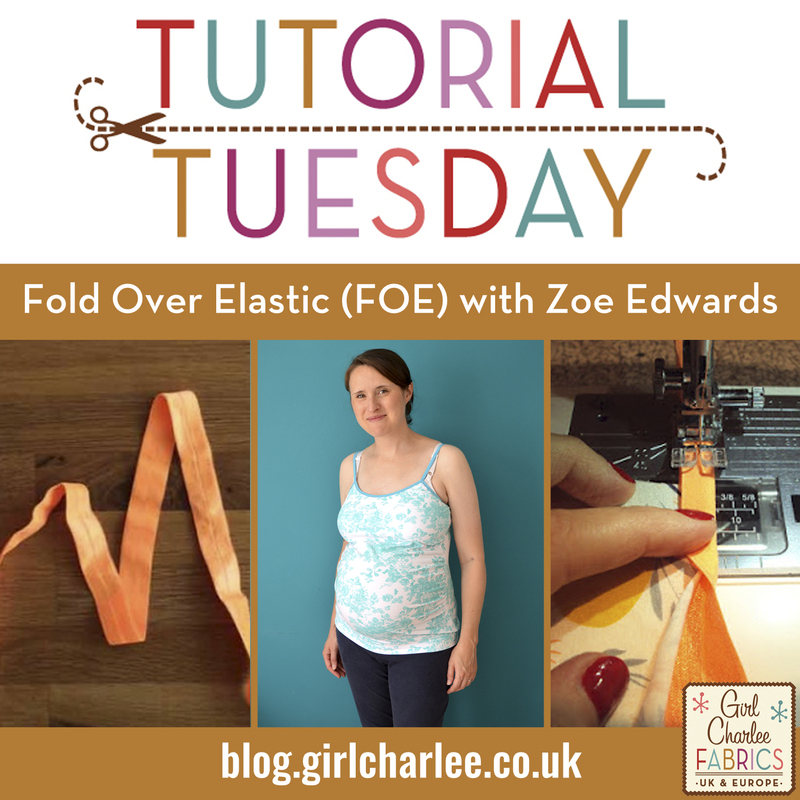 Today we have the wonderful Zoe Edwards giving us some info and handy hints and tips for using Fold Over Elastic! 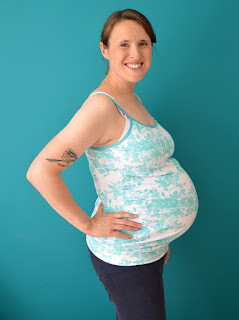 She also gives us a fantastic overview of her Cordelia Maternity Camisole pattern. Over to you Zoe! Fold over elastic (often referred to as FOE) is a thin, flat elastic that has a line running along the centre of its length that makes it easy to fold in half. Sold by the metre, it can be bought in a variety of widths and textures, but commonly it is about 2cm (3/4”) when flat and has one matt and one shiny side. 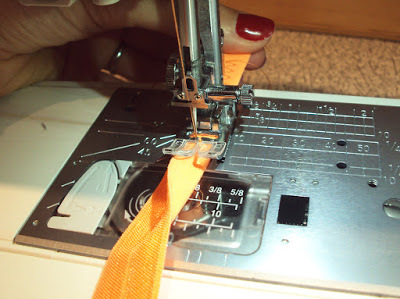 Its purpose is similar to that of bias binding in that it finishes raw edges by enclosing them, but has the added benefit of extra stretchiness and recovery. It is often used in underwear making and therefore makes a great partnership alongside jersey fabric. 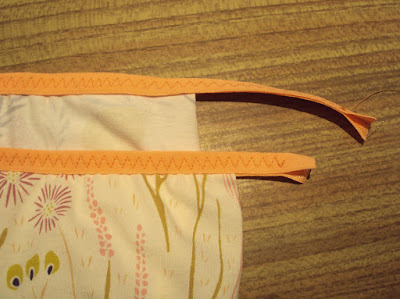 Through analyzing some shop-bought pants and a bit of experimentation, I figured out that a 3 step zigzag stitch works best when stitching through the sandwich of elastic and fabric. I like to use a stitch width of 5mm and stitch length of 1mm on my Janome sewing machine, but have a play about to see what you prefer. 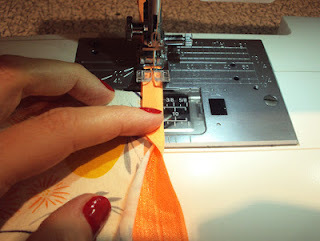 Once you’ve mastered the basic ‘elastic/fabric sandwich and stitch’ application, you can amp things up by giving the elastic a slight tug as it passes through your machine. This creates a pleasing gathered effect. 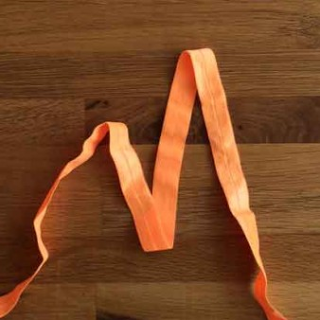 Experiment with tugging the elastic at various tensions to see how much or little gathering you are able to produce. A little gathering looks great on knickers, for example, and helps them to be snug when worn. A lot of gathering is great when creating gathered skirts or the cuffs for wide sleeves. See here for my tips on using FOE to create pants/knickers/undies. 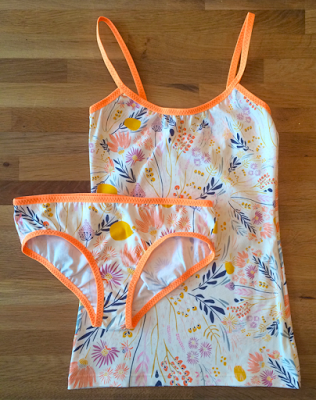 Excitingly, there are more and more underwear and loungewear sewing patterns becoming available so sewers/sewists can have heaps of fun creating their own 'intimates' whilst choosing combinations of jersey/knit fabric and FOE that reflect their personality. 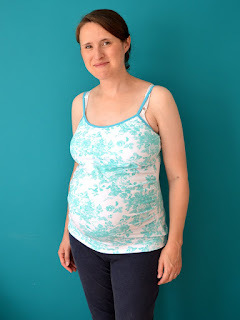 If you fancy having trying FOE and jersey/knit to create your dream undies, there are currently two free PDF sewing patterns available for download on my blog: a pair of hipster knickers/pants/undies and a strappy vest/camisole/singlet. 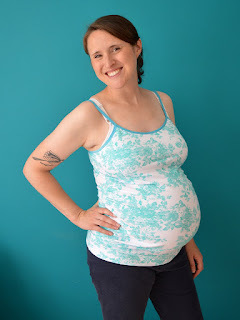 For the baby-growing ladies out there, the recently released Cordelia maternity camisole pattern, which includes an optional bust support panel, (featured here in this post) might just be the item you need to get you through the final few months of pregnancy when pretty much nothing else fits! Each of my sewing patterns mentioned here contain info on how to use FOE, as well as this blog post here. For more ideas, patterns and tutorials, follow Girl Charlee's board on Pinterest. For more ideas, patterns and tutorials, follow Girl Charlee's "Patterns & Projects to Try" board on Pinterest. Don't forget to sign up for our email updates to keep up to date with all our New Fabrics, Sales, Giveaways and all our Knitty News! The sign up box is top left of the blog.